What Is the 10.0.0.1 IP Address? 10.0.0.1 might be a default gateway address or local client IP address. The 10.0.0.1 IP address is a private IP address that might be used on a client device or assigned to a piece of network hardware as its default IP address. 10.0.0.1 is more commonly seen in business computer networks than in home networks where routers normally use addresses in the 192.168.x.x series instead, like 192.168.1.1 or 192.168.0.1. However, at-home devices might still be assigned the 10.0.0.1 IP address, and it works just like any other. There's more on how to use the 10.0.0.1 IP address below. If a client device has an IP address in the 10.0.0.x range, like 10.0.0.2, then it means that the router is using a similar IP address, most likely 10.0.0.1. Some Cisco brand routers and Infinity routers supplied by Comcast commonly have 10.0.0.1 as their default IP address. Once that page is loaded in the web browser, the router's admin console is requested and you'll be asked for the admin password and username. Private IP addresses like 10.0.0.1 can only be accessed locally behind the router. This means you cannot connect to a 10.0.0.1 directly from outside of the network, like on the internet. The only exception to this rule is if your network is set up with a publicly accessible domain name or you know your network's IP address. A dynamic DNS service is one way to access your network from the internet using a common name. When routers are first shipped out, they come with a built-in password and username combo that are necessary for accessing the software and making changes to the network settings. If the default password doesn't work, you might need to reset your router back to factory defaults so that the default username and password are restored. Once they're usable again, you can log in to the 10.0.0.1 router with the default information. These credentials are well-known and are posted online (such as here) and in manuals, so it's unsafe to keep them active. The default password for the 10.0.0.1 router is only useful so that you can log in to change it. The most common problem with the 10.0.0.1 IP address, as with any IP address, is not being able to connect to the router when using the URL as described above. There could be a number of things causing this but the most obvious is that there aren't actually any devices on the network that are using that IP address. Also remember that you can't connect to a 10.0.0.1 device that exists outside of your own network, meaning that you can't ping or login to a 10.0.0.1 device unless it resides inside the local network you're using to access it (with the exception of the DDNS note above). The device correctly assigned to 10.0.0.1 might suddenly stop working due to technical failures on the device or with the network itself. If DHCP is set up on the network and the 10.0.0.1 address is applied in that way, then it's important to make sure that there aren't any devices already using 10.0.0.1 as a static IP address. If two devices end up with the same IP address, an IP address conflict will cause network-wide issues for those devices. 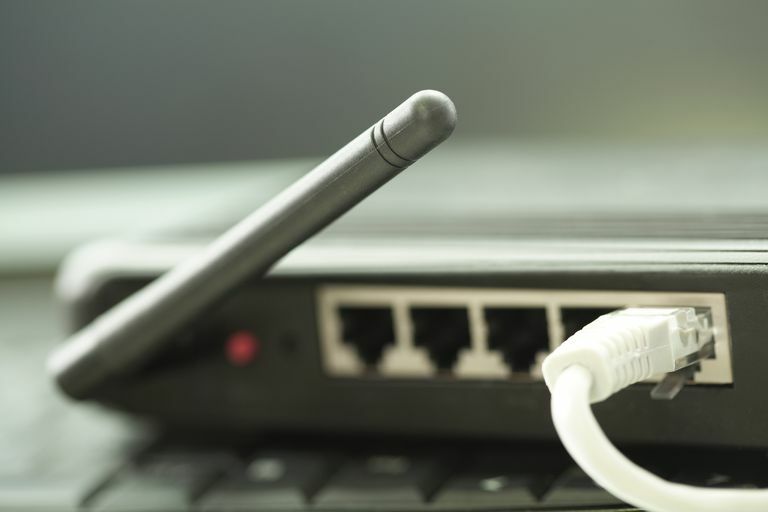 An administrator must set up a 10.0.0.1 router with a static IP address so that clients can rely on the address not changing. On routers, this address is entered in one of the admin console pages, while business routers might use configuration files and command line scripts. Mistyping this address, or entering the address in the wrong place, results in the device not being available on 10.0.0.1.